This outstanding example of a 2020 Toyota Corolla Hybrid LE CVT is offered by Lone Star Toyota. You could keep looking, but why? You've found the perfect vehicle right here. There is no reason why you shouldn't buy this Toyota Corolla Hybrid LE CVT. It is incomparable for the price and quality. This is the one. Just what you've been looking for. The Toyota Corolla Hybrid LE CVT will provide you with everything you have always wanted in a car -- Quality, Reliability, and Character. Contact Lone Star Toyota today for information on dozens of vehicles like this 2019 Toyota Tundra 4WD SR5 CrewMax 5.5' Bed 5.7L FFV. You deserve a vehicle designed for higher expectations. This Toyota Tundra 4WD delivers with a luxurious, well-appointed interior and world-class engineering. No matter the terrain or weather, you'll drive at ease in this 4WD-equipped vehicle. With exceptional safety features and superb handling, this 4WD was engineered with excellence in mind. This is the one. Just what you've been looking for. This is about the time when you're saying it is too good to be true, and let us be the one's to tell you, it is absolutely true. 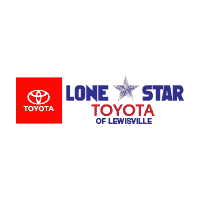 This 2019 Toyota Tundra 4WD SR5 CrewMax 5.5' Bed 5.7L FFV is offered to you for sale by Lone Star Toyota. You appreciate the finer things in life, the vehicle you drive should not be the exception. Style, performance, sophistication is in a class of its own with this stunning Toyota Tundra 4WD. Take home this Toyota Tundra 4WD SR5 CrewMax 5.5' Bed 5.7L FFV, and you will have the power of 4WD. It's a great feature when you need to drive over tricky terrain or through inclement weather. You've found the one you've been looking for. Your dream car. You can finally stop searching... You've found the one you've been looking for. This 2019 Toyota Tundra 4WD SR5 CrewMax 5.5' Bed 5.7L FFV is offered to you for sale by Lone Star Toyota. You appreciate the finer things in life, the vehicle you drive should not be the exception. Style, performance, sophistication is in a class of its own with this stunning Toyota Tundra 4WD. Want to brave the road less traveled? You'll have the 4WD capabilities to do it with this vehicle. Look no further, you have found exactly what you've been looking for. This is about the time when you're saying it is too good to be true, and let us be the one's to tell you, it is absolutely true.